We need to manage soybeans with the same expectations as our corn crop. It’s a phrase you’ll hear again and again in this blog. When we look at seed attrition rates in corn, for example, growers typically expect 95 percent emergence. If 20 percent of the seed they plant doesn’t emerge, they’re on the phone to their dealer looking for answers – and so they should be. But what happens when 20 to 30 percent of their soybean seed doesn’t emerge? It’s our experience that few growers ever call their seed dealers looking for answers. Most just accept this poor emergence as normal performance for soybeans. That needs to change. Soybean growers should be aiming for an attrition rate of 10 percent or less. 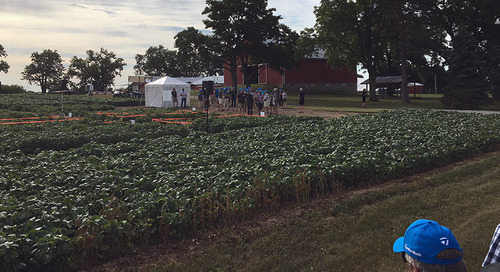 In our last blog, we talked about the important role that a picket fence stand plays in helping you harvest 70-bushel soybeans. Quite simply, it’s very difficult to get that optimum stand if 20 to 30 percent of your seed is not producing viable plants. 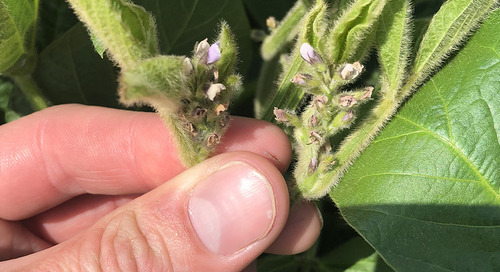 In this case, growers need to take a systems approach that looks at the genetics, environment and management (G x E x M) of their soybean crop. 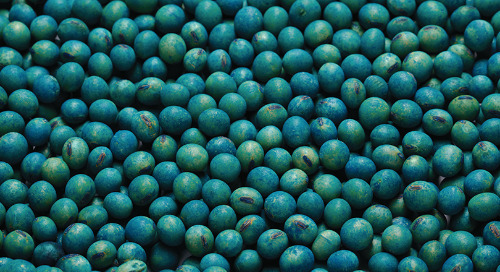 We know that the quality of our seed genetics should allow growers to achieve at least 90 percent germination rate. So why are many growers falling short of achieving that? The answer really comes down to environment and management. The first thing to consider is residue management. As corn yields increase so do residue levels – typically, five to seven tonnes/acre of corn dry matter comes off the combine and, in some cases, it can reach 10 tonnes/acre. 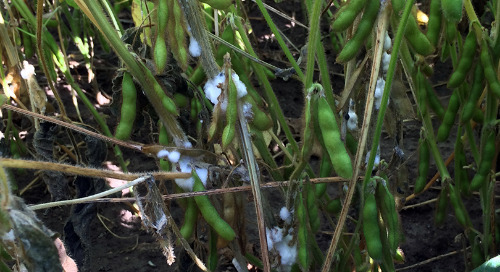 This creates extremely challenging conditions for soybean establishment. In this situation, growers need to consider at least a little bit of tillage to accelerate residue breakdown. 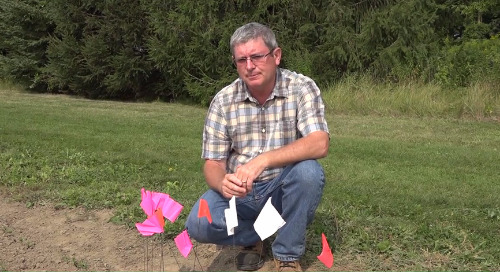 It is important to understand that in some environments a little bit of tillage goes a long way in helping growers achieve optimum soybean stand establishment. Additional management techniques can also be employed. Growers also need to take a closer look at their seed planting zone. 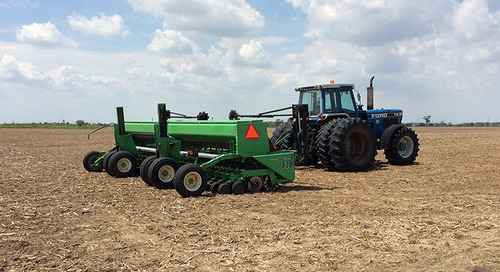 At Syngenta, our trialing work has documented 50 to 80 percent attrition rates when the soybean seeding equipment traveled on last year’s corn rows. That’s why it’s critical to target the soybean planting zone between the rows and avoid planting right on top of the root and crowns from the previous crop. The numbers don’t lie – you have to stay off the row. Many growers plant their soybeans across last year’s corn rows or at least on a slight angle, maybe 20 degrees. This is done to facilitate easier harvesting, but it automatically creates upwards of 10 to 15 percent of the entire field being planted right on top of last year’s corn row. Growers could consider planting between last year’s corn rows and then combining the field of soybeans at an angle. This should maximize stand establishment and minimize residue issues and header tramp at harvest. Planting depth is also a critical management and environmental factor. As soybean growers attempt to increase yields, many are planting earlier to maximize the length of season. 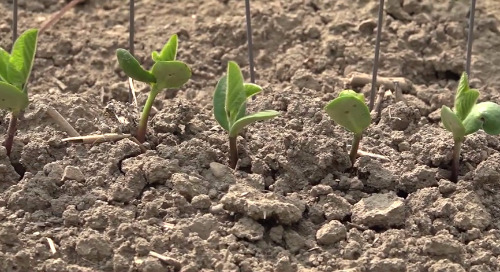 Growers should remember soybean germination is highly dependent on a temperature. Germination starts with soil temperatures of at least 55°F (12°C). 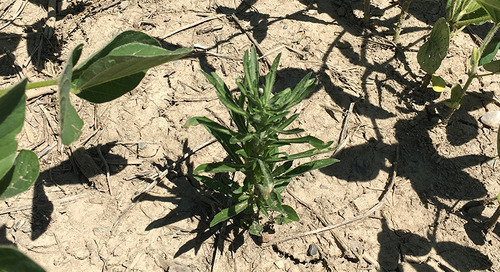 Early planting at, or below, two inches (5 cm) can potentially increase the attrition rate or at least make for extremely slow and variable emergence. 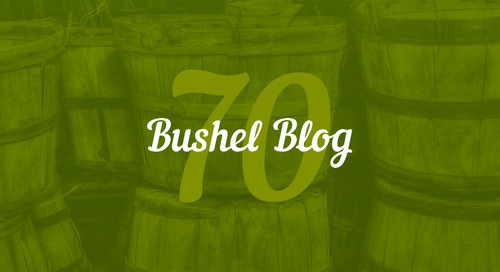 These are just a couple examples of how intensifying your management can close the gap, get a better return on your seed investment, and help you hit that 70-bushel target. We need to manage soybeans with the same expectations as our corn crop. If 20 to 30 percent of soybean seed isn't emerging, it's time to look at environment and management. What’s Your Stand Establishment Score? 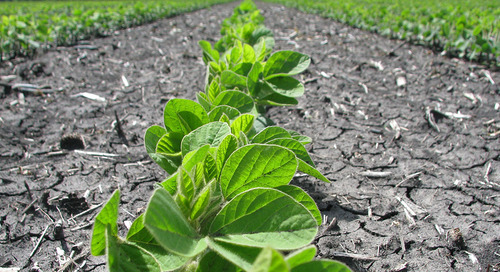 Stand establishment is a critical best management practice to achieving high soybean yields and maximum profitability. Benchmarking is essential to improving production. 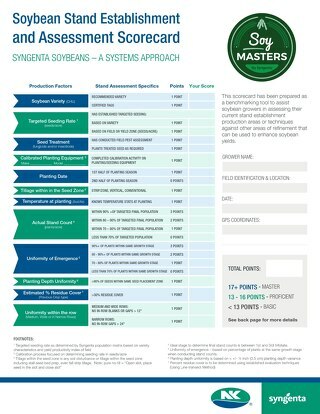 Proper stand assessment and benchmarking of your results using the Syngenta scorecard, will allow you to compare results year over year. 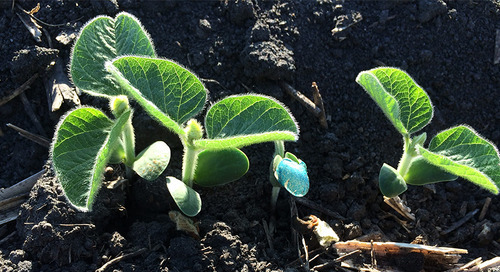 Stand Assessment Step 4: Avoiding the "Runt Syndrome"
In part 4 of this 5-part series, Agronomic Service Representative Eric Richter shows why it’s crucial for your soybean seedlings to emerge at the same time. 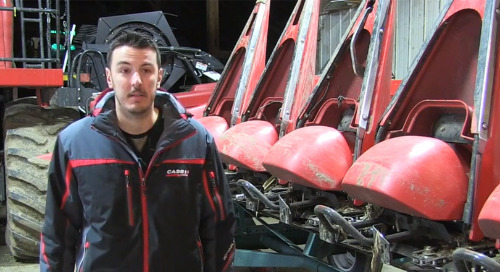 In part 5 of this 5-part series, Agronomic Service Representative Eric Richter explains why achieving uniform "picket fence" stands is key for capturing yield. 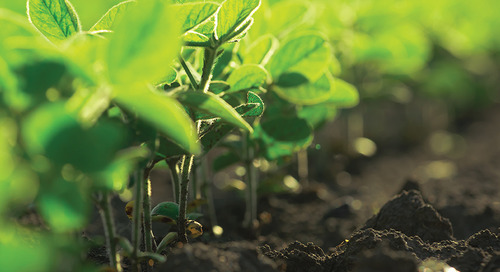 A better understanding of your soybean crop starts with the basics. 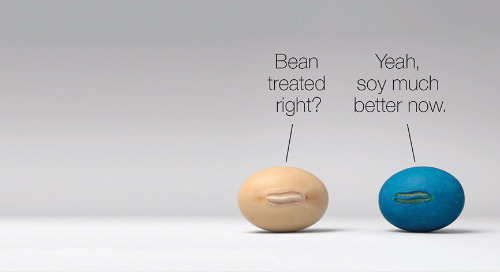 From seed to harvest ready, learn about the critical growth stages of a soybean. 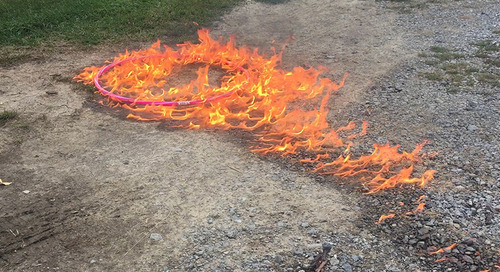 It’s time to move beyond the hula hoop to count stands: there’s a quicker, easier and more accurate method for calculating your final soybean stand.